Public transport in London is one of the major achievements of the last century and one of the main factors for London being the amazing city that it is. As a tourist in London it is our advice for you to learn and understand the transport network and different transportation modes in order to shorten journey times, save money and have a better experience. 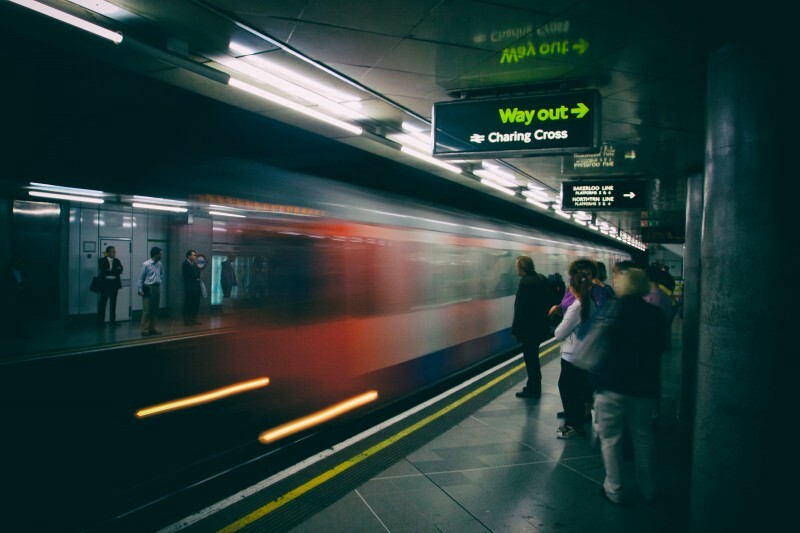 Our guide below concentrates on the transport within central london, highlighting the different options available, including interchange points, fastest journeys and explanation of the costs. Oyster Card – What is it? What types of transport are available in London? London’s train network is amongst the best in the world and includes the Underground (as the name suggests, most of these run underground throughout london, and more commonly called the tube), these link to two further train types, the DLR (Docklands Light Railway), a driverless railway operating in the south-east of London and the Overground, which are overground trains operating mainly on the outskirts of London with a few stops nearer the centre. In addition, there is also National Rail which links to the Underground, DLR and Overground at certain stations and covers the length and breadth of England, joining all the major cities and many minor cities throughout the country. Although the National Rail comprises several different operators they are all under the same banner and tickets are easily purchased at all train stations or online. A full map of all stations can be found here. If you are interested in travelling further out of london, the National Rail is a good place to start, although can be on the expensive side, so make sure to buy in advance and online if possible to reduce costs. Don’t forget, there are some great packages out there to further reduce costs by combining a train ticket with a hotel stay. If your journey is to take you to mainland Europe, you also have the option of the Eurostar, the train that directly connects London with mainland Europe. A fast direct service runs from Heathrow airport to Paddington station in central london. The trains have 3 stops at the airport; Terminals 2&3, Terminal 4 and Terminal 5. Trains depart both Heathrow and Paddington every 15 minutes, with a journey time of 15 minutes Monday to Friday. Trains on Saturdays and Sundays depart every 30 minutes. First trains are at around 05:00 and last trains are at around 23:45. check the timetable for up to date schedules. Ticket prices vary depending on when and where they are purchased but are generally £22.00 single and £36.00 return when bought Online, at ticket machines or ticket offices at short notice, rising to £27.00 and £41.00 when purchased on board the train. If, however, you are planning a future journey, single tickets are as low as £12.10 for midweek travel 90 days in advance and £5.50 for weekend travel 90 days in advance. You can get your Heathrow Express tickets here, with the option of cancellation. A fast direct service runs from Gatwick airport to Victoria station in central london. Trains depart both Gatwick and Victoria every 15 minutes, with a journey time of 30 minutes. Trains run from around 04:30 to 01:30 daily. There are no trains between 01:30 and 04:30. Although there is only one train at 04:30 and 2 trains between 05:00 and 06:00. Please check timetable for current schedules. Ticket prices vary depending on when and where they are purchased but are generally £17.70 single and £31.05 return when bought at a ticket office, rising to £19.90 and £34.90 when purchased at a ticket office. You can get your Gatwick Express tickets here. The red double-decker London bus is surely one of the city’s iconic images and can be spotted on all major roads in London, although some routes run single-decker red busses. The London bus network is one of the wider bus networks carrying around 6.5 million passengers a day, which is roughly double the number of passengers on the London underground per day. It is important to note that you can not pay for your bus journey with cash, and you must either have an Oyster card with available balance or a contactless credit card to ride a bus. A single bus journey is the same price no matter which bus you are on or your final destination. The current price is £1.50 per person per journey, although under 11’s can travel for free. We recommend you download and use the Citymapper smart phone application to plan your journey in London. The app will help you find the right bus and tell you where the nearest bus stop is. London has both Taxis, these are the iconic black cabs you see in movies and all over London, you can stop these anywhere on the street if they have their yellow light on, and minicabs, these are private hire cars that can not be picked up in the street but must be pre-booked. All minicabs will be registered and you should look for a yellow sticker on the front windscreen and back window to verify a registered vehicle. Taxis in London range from expensive to very expensive, you have been warned! Black cabs are particularly expensive, especially if picked up from an airport, as such we would recommend booking a minicab, there are many companies in London, so we recommend minicabit to find a selection, with real-time quotes, and Uber, if you have the app installed and are registered. If you still want a Black Cab, you can either hail one from the street when they have their orange light on at the front, or you can find one using the GETT app. If you are staying in central London or anywhere near an underground station, we would not recommend to hire a car win London, as there is a daily (Monday – Friday) congestion charge to enter central London by car and car parking can be on the very expensive side. You will find it cheaper and easier to travel by public transport, taxi or minicab. However, if you are planning a journey outside of London to see the rest of England, a hire car may be your best option, and we would recommend RentalCars.com from the same people who bought you Booking.com and will compare several car rental companies for you almost anywhere in the world, including London. In the past couple of years London is encouraging people to use their legs and ride a bike to get around London while enjoying the view. As such, London has introduced many cycle paths, these cover large parts of London and are usually marked with a bicycle symbol on the ground, and recently London has created Cycle Superhighways, these are segregated lanes on main roads solely for the use of bicycles and are generally painted blue. You can rent bicycles in many parts of London from automated machines, these are easy to spot and sometimes known as Boris Bikes, after London’s Mayor, Boris Johnson, who introduced them a couple of years ago, although they are now officially called Santander Cycles as they are sponsored by Santander Bank. Full details of the easy 3 step process to rent a bike can found on the TfL website. You read that correctly, London now has its very own cable car, called Emirates Air Line, which crosses the River Thames between Greenwich Peninsula and the Royal Docks. Cabins arrive every 10 seconds and take around 10 minutes each way. This is a great way to see an alternative view of London and to cross the river. London has an active River Bus service that can be used for commuting as well as seeing London from a different perspective. All River Bus Services are wheelchair accessible, you are guaranteed a seat on each boat and can use your Oyster card to pay for the journey, although make sure your Oyster card has enough money before begging you journey as you will not be able to top up at the pier, although you will be able to buy a single or return ticket at the ticket offices, this will be more expensive than an Oyster paid journey. The River Bus is run by MBNA Thames Clippers and not by TfL with services starting at around 06:30 through to 23:00 weekdays and 08:30 to 23:00 weekends, but please check the timetable for exact departure and arrival times. Prices are per zone, similar in structure to underground pricing, with zones broken up as Central, East, West, Central and East, Central and West, or All Zones. Full pricing details can be found here. A map of all the River Bus stops can be found here. London has further travel options including a Tram and Crossrail, which we will update in the near future. The good old technique of looking at maps at bus stops, underground stations and at TfL’s (Transport for London) website works wonders, although these days there are many up to dat tools and apps available to make this easier, showing real-time information, mapping, direct you from a to b and ability to geolocate yourself. The easiest way to plan your journey, if you have access to the internet is using the TfL journey planner here, or by using an app like Citymapper, these days Google Maps and Apple Maps also offer real-time public transport journey planners via their respective apps (Android or iOS). WE would recommend you lift your head from your smartphone every often as London has a lot to offer, and if you look up once in a while you will see some great architecture and you may be surprised, such as Shakespeare’s head peeking out of a window in Carnaby Street. We have talked about the Oyster card, and you have probably seen people touching the little blue plastic credit card like thing on the yellow readers on busses and trains in London, but what is it? It is a smart card, same size as a credit card and used to pay for public transport in London. It is accepted on busses, tube, overground, DLR, some national rail stations, some Thames River crossings and the Emirates Air Line. You can purchase up an Oyster card at all underground and train stations, as well as in some shops (where you see the Oyster card symbol). There is currently a £5 deposit on all new card,s but this is refundable when you return the card. To use the Oyster card, simply press it against the yellow readers at point of departure and arrival when using trains, or when you get on the bus, no need to touch when getting off a bus. To top up your oyster or see your balance, you can go to any ticket machine at any stop, press the card again the yellow reader and the balance will be displayed. You can also top up your oyster at any ticket machine, or shops where you see the Oyster symbol. The Oyster card comes in two flavours, the PAYG (Pay-As-You-Go) and the Travelcard (fixed price for a fixed period of time, 1 week, 1 month, 1 year). PAYG – Here you pay for what you use, your Oyster has to be topped up before it can be used, and you will see how much each journey costs you when you tap at the end of your journey on the trains, and the beginning of your journey on Buses. Oyster journeys are currently capped, on a day basis, full fare guid can be found here. Travel card – Here you pre pay for a set period of time, this is done in the same way as PAYG via one of the ticket machines or shops displaying the logo. Prices can be found here. On the Underground, the price depends on the start and end point of your journey and which zone you are travelling to and from as well as the time of travel. London is segregated into travel zones, most visitors will find themselves in Zone 1 and Zone 2 as this is central London, click here or here to see a map of all the zones. Rush Hour, or Peak travel times are Monday to Friday between 07:30 and 09:30 in the morning and again between 16:00 and 19:00 in the afternoons. Travel during these times is more expensive and you should expect it to be far more crowded at these times. London buses have a flat rate for any journey, any time of day or night, currently at £1.50 per person per journey regardless of where in London you are traveling to or from and there is a daily cap of £4.50 if only using the bus that day. If using the tuber to travel between Zone 1 and Zone 2, there is a single fare of price of £2.90 during rush hour and £2.40 at all other times. Travel within Zone 1 only is £2.40 at all times. When using an Oyster card, your daily journeys will be capped at £6.60 regardless of time of travel and if using the tube and bus together. If you buy a paper ticket, the single journey cost is £4.90 per journey, we would not recommend this as you also lose out on the daily capping. There are no more daily or weekly paper tickets and you must get an Oyster to benefit from these. Weekly travel card for Zones 1 and 2 costs £33, a monthly travel card is £126.80. Please pay attention and do the maths to see if these are relevant for you or if a PAYG Oyster with daily capping would work out cheaper for you depending on number of journeys you plan to make during your time in London. Full details of all fares can found here. This will bring you to flat 1 in a building named Palm Court, located at number 128 on Oxford Street, in London, with a post code of W1D 1LT. Some shops, restaurants and other places of interest may only include the street number, name and post code. Why is the post code important? “LONDON post town map” by Richardguk – Licensed under CC BY-SA 3.0 via Wikimedia Commons. The postcode in London is an easy way to identify which part of the city the address is in, and can be a great way to identify the perfect location for your hotel booking. The first 1 or 2 letters denote the area North (N), East (E), South (S), West (W), North West (NW), North East (NE) South East (SE), South West (SW), or East City (EC), West City (WC), these last two relate to the city of London area. Following these are numbers, which relate to a sub area within that direction. The second part of the post code usually made up of 1 letter and 2 numbers provides a more exact location, as used by sat nav and delivery of post. This last part can also identify which side of the street the address is on, but it is not easy to decipher without the aid of specialist software, like a sat nav. 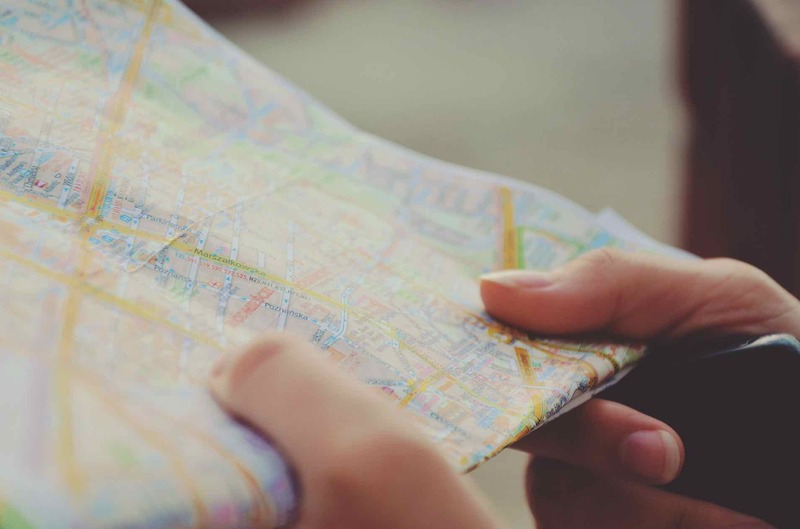 It is best to give any taxi drivers, or when searching on online maps, the full postcode as this will be the most accurate way of finding your intended destination. If you are looking for a one stop card to offer both public transport and discounts or free entrance at London’s top tourist attractions, and you are planning on staying in London for at least a few days, you should consider the London Pass. 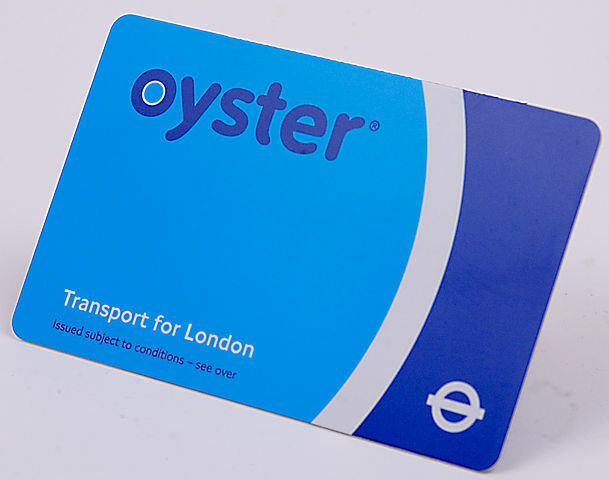 You can combine the London pass and your oyster in one convenient card. SPECIAL OFFER: Ask a local users have a special offer and a 10% reduction in the price. To benefit from this offer simply enter the code ASKALOCAL at the checkout of the London Pass page. Further offers in London can be found on the London Deals Page.